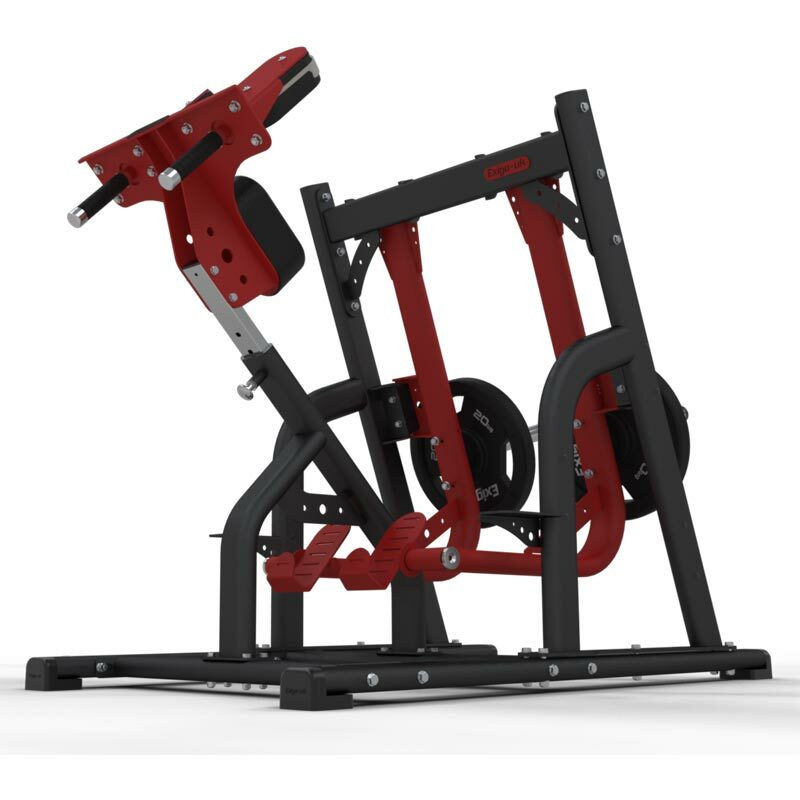 Used to build ultimate leg and glute power, the Exigo Plate Loaded ISO Lateral Power Runner is a new concept in leg training. Offered with independent leg training and exercise action for equal strength development. Smooth ISO movements - Exigo’s ISO lateral technology allows users to move both limbs at the same time, or individually. Offering a highly effective range of motion and exercise pattern. Easy adjustments - Simple user adjustments ensure accurate and effective exercise posturing for effective and biomechanical accurate movements. Comfort grip - Ergonomically designed, comfort grip handles provided with silicone super grip covered 32mm with caped anodised aluminium ends. L1795mm x W1050mm x H1441mm.